See plenty of pics here. Shipping is $9 in US or Canada (BTP shipping is same to Canada as US!) and $25 to most other countries. 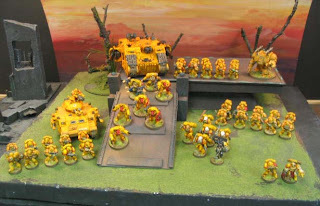 I have an army list for the Imperial Fists but not for the Space Wolves. The SW army can be easily, ever so easily, bumped up to 2000-2250 by just adding a few heroes as a separate commission. It could sure use a few rune priests. There’s an Arjac conversion in there, too. The following list reads a bit odd. Just pay attention to the quantities in bold. Here are two Tyrannofexes for the studio Mesa Nids army. Like the other large organisms we’re going to make a few versions. I don’t expect everyone to love this one, but I absolutely love it! I can’t wait to get them painted up. Note that these are noticeably bulked up. The leg probably has about an inch of extension and they are comfortably filling up a Valk. base. The gun is the whole body of a Venomthrope! Cost is $120 for one assembled (cost of model plus assembly; no painting) or two for $220. Painted cost (finished product) is $220 per model or $400 for two. Limited time offer. Brigh just walked in with two test Tyrannofexes. These were for the studio army, so I gave him complete license. We’re going to call them Tyrannofex Alpha. And a Parasite of Mortrex; again this one was just for me, so not the multiple production type like we’re going to do. It’s sick and twisted, like a creature that skulks in the depths. I am completely pleased. They turned out better than I would have imagined. Brigh is a genius and he’s done it again! He also did a custom Doom of Malan’tai for a client that is pretty sweet. BTP didn’t make these. But they are really cool! And we can produce this reliably. Any suggestions? What could the problem be? I forgot to mention it in my last email, but the last of my Skaven arrived, Shawn, and I’m not sure if I told you yet just how awesome they are. In fact, in this latest shipment, not one of the models was damaged in any way, which is impressive to say the least. Give my compliments and thanks to Sarah! The models themselves are, as always, just amazing, and I can’t say enough good things about the quality of work. I now have an amazingly painted Skaven army of around 4000 points thanks to you, and I couldn’t be happier with it. Seriously awesome army. I’ve been raving about BTP to anyone and everyone who cares to listen, and I hope I’ve sent at least a little business your way in the process. Amazing, amazing work, Shawn, I really can’t thank you enough. This is the Fantasy army I’ve always dreamed of, and you and the team have made it come to life in a spectacular fashion. Thanks so much! Got a Hive Tyrant put together today. The limbs are permanently attached. I see no reason not to run him as a ranged item when there are mono-use organisms that do this ever so well (eg Hive Guard). I got him with a Lash Whip and Bonesword. On the lower set a pair of scything talons with the smallest set from the Mawloc and they look GREAT! Tyrant Guard are coming. It’s tough to compose a force right. I’m just now getting the hang of it. First off, if it’s random mission then there are certain possibilities. It’s good to have units that have options, for example, Raveners can Deep Strike OR they can just deploy normally. 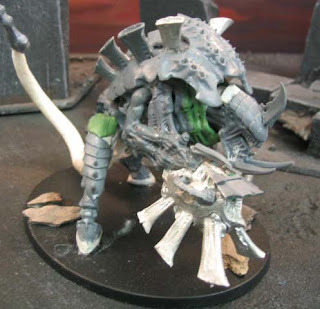 A Hive Tyrant with Hive Commander as an ability allows one unit of Troops to outflank. Well, what could that be? Pick one depending on your foe: Tervigon, giant brood of Hormagaunts, Tyranid Warriors? In terms of deployment there’s Pitched Battle and Spearhead (whole army on the board from the get-go) or Dawn of War (HQ + 2x Troops on board the rest coming on from Reserve). It’s the last one that is tricky for Tyranids. Even fast-moving HTH types are going to get absolutely shot up coming across the board. As I found out against Imperial Fists, even the lowly Tac Squad can burn up a horde of gribblies. Again, it’s good to have lots of options. What about a force with almost 100% option (ie most units have options for deployment). 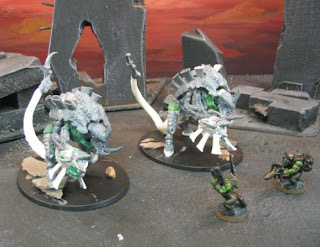 I think Tyranids have a lot of options when it comes to disruption. It’s not all frontal assault. Part of the force has to be dedicated to distraction, ambush, and quick maneuvers. Deathleaper is good at this. But geez this stuff is expensive. 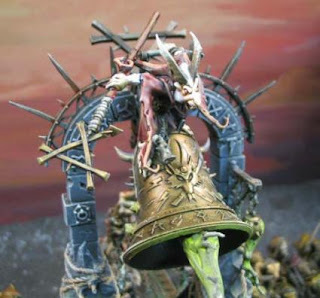 It’s the only army list where I wish I had ten Troops choices! There’s a lot of good stuff in there. Nevermind Elites. I want five choices there! Hey all. 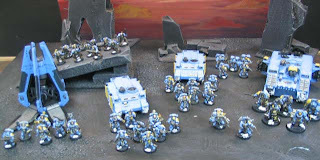 I’m looking for someone local who can play a friendly game of 40K with me this week. Your army needs to be decently painted and you should be able to be on camera (in case I want to record it for Youtube). Any takers? In the 1500-2500 point range. I can play in the evenings if need be. I just now woke up from a dream. Clunk… clunk… clunk… somewhere in the deep forest an old Indian woman is outside her hut grinding with mortar and pestle. It is night time. I am inside an old Mayan building, a stone temple-fortress, at the corner of an L-shaped hallway. On the interior walls there are cells, two high, three wide, and two sets in each direction. They are stone bunks of a sort, completely sealed off with thick glass. In each one is a young Mayan man. They are in a deep sleep; a stupor. They are dressed in ragged pants and shirts. Their faces are dirty and bodies unwashed. They sleep on beds of straw and dirt. The woman begins to narrate. She’s speaking in a language I don’t know, but I can understand her meaning in my mind. Her voice is heavy with sadness. These are young nobles who have forgotten their royal heritage. They are peasants now. Liquor has stolen their sensibilities. Every evening they come, she says, and take away the food we prepare for ourselves. And they imprison the young men. When will this end? She calls to my mind some of the books I’ve read and particularly a paper I wrote as a college senior on the Mayans. One of the young men wakes up (leftmost, top of the cells). His glass wall is gone. There is nothing preventing him from leaving. But he freezes. When he sees me he is afraid. I look down and see that I have a ring with iron keys on it. I’m a guard. I tell him he has nothing to fear. I start figuring out how I can free them. note: I’m not saying this is some kind of inspired thing. Just a neat dream that left me wondering and awake in the early hours.